After his goal against Eibar at the Camp Nou, Lionel Messi kept making history with the club after reaching his 400th La Liga goal. 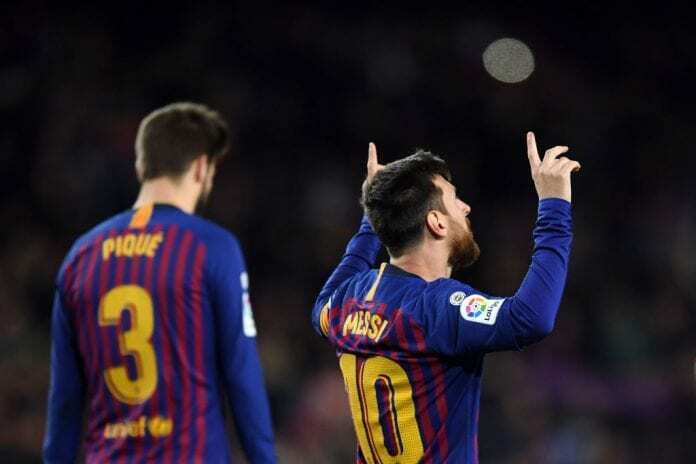 We are already out of adjectives to describe how incredible Lionel Messi has been for La Liga, today he scored his 400th La Liga goal against Eibar in front of all his fans and he became the only player in football history who has scored so many goals for a single domestic competition. The Argentine also has 159 assists in the Spanish tournament, which also puts him at the very top of the stats. In a match that was supposed to be easier than it actually was, Luis Suarez and a recovered Philippe Coutinho joined the party. The Uruguay international scored two goals against Eibar, the first and the last one of the 3-0 victory. The Brazilian wasn’t able to score, but he left several hints of his quality throughout the whole match and even assisted Suarez on his first goal. Playing as he did against Eibar, we can already state that Philippe Coutinho is completely back to his best form but he will need to remain like this for the rest of the season if he doesn’t want to be sold to the highest bidder next summer. But tonight’s main man was Lionel Messi, he keeps on gifting us with magical moments in 14 years of his career. That very first La Liga goal he scored against Albacete back in 2005 was only the beginning, he reached this mythical number today and became an absolute legend amongst other legends. The player who is closer to him at the top of the list in all European leagues is Gerd Müller, who managed to score 365 goals for Bayern München in the Bundesliga. Jimmy Greaves is third with 357 goals scored in the English First Division before the Premier League was created. Then we have two Italians, the first one is Dellio Onnis, who scored 299 goals in the French Ligue 1. And we can’t forget legendary Silvio Piola, who got to score 274 goals in the Italian Serie A. These are the players who complete the list, but Messi has more merit for being able to get this milestone in the same era as Cristiano Ronaldo. 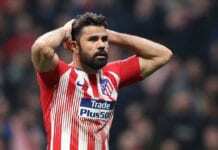 The Portuguese forward has a lot of merit in La Liga as well, as he managed to score 311 goals in the competition and remains as the second all-time goal-scorer after his spell at Real Madrid. Cristiano still has more league goals than Lionel, 12 to be exact. Considering that Messi is nearly 2 years younger than Cristiano Ronaldo, being only 12 goals below the Portuguese player is truly incredible. Cristiano began his career at Sporting Lisbon and scored three goals in the domestic competition, then he moved to Manchester United and scored a good 84 goals during his spell with the Red Devils. We all know his story with Real Madrid, but Ronaldo remains strong and has already scored 14 Serie A goals since he arrived at Juventus last summer. The debate will forever remain alive between these two because some give more credit to Messi for being able to make La Liga his own, but many will always give Cristiano the advantage because he has been able to become a legend in the three biggest European leagues that exist. One thing is for sure though, Cristiano Ronaldo will never do what Lionel Messi achieved this Sunday because he never wanted to remain in a single club throughout his career. Perhaps if he would’ve stayed at Real Madrid during his whole career, Ronaldo may have reached Messi’s numbers but things worked out differently and he had to leave. What has more credit, Messi’s 400 goals for a single club or Ronaldo’s 412 between 4 clubs? Please share your opinion in the comment section down below.